When you experience a Disney Cruise Line Vacation, you embark on a voyage filled with fantasy, fun and excitement. No matter what your age or vacation style, you'll create long lasting memories aboard the magnificent Disney Cruise ships. Let us plan your perfect cruise! Already have a reservation booked through Disney Cruise Line? 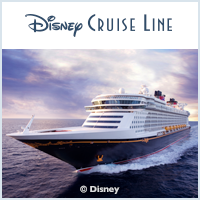 Receive up to a $1,000 Disney Cruise Line Onboard Credit! Disney Cruise Line announces summer 2020 itineraries! In the summer of 2020, Disney Cruise Line will return to Greece during the Magic's annual European trip, trek once again to Alaska, and continue its sailings to the Caribbean and the Bahamas. As part of its summer in Europe, the Disney Magic will enhance three of its Mediterranean sailings with a visit to the Greek Isles. Look for two 9-night itineraries and a 12-night itinerary. Ports include Mykonos and Santorini. The Magic will also once again visit Northern Europe, Western Europe, and the British Isles. 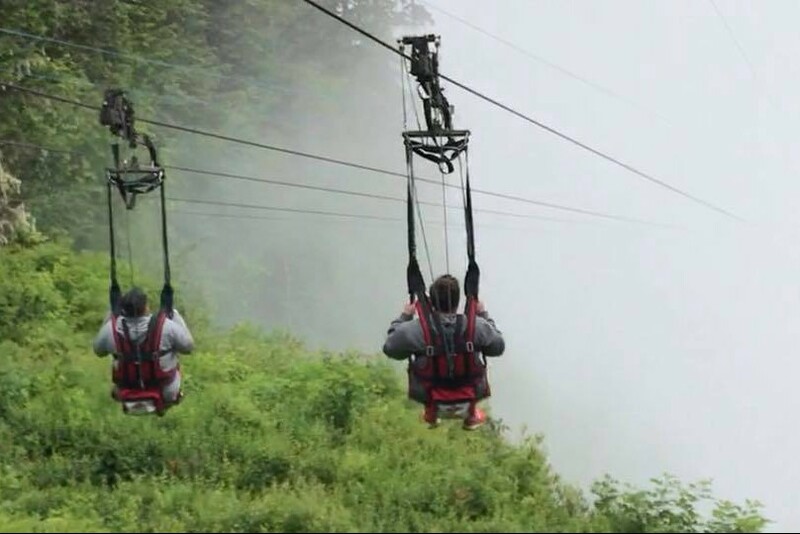 Meanwhile, the Disney Wonder will head back to Alaska for sixteen 7-night sailings, including two that visit the exciting Icy Strait Point, home to one of the world's longest zip-riders. The Disney Dream continues her 3, 4, and 5-night Bahamian sailings from Castaway Cay, including several chances to double-dip at Castaway Cay. Finally, the Disney Fantasy ups her game in the Caribbean with a 9-Night Eastern Caribbean Cruise, along with several 7-Night Eastern and Western Caribbean sailings. Chart a course for more magic as you share in special day-long celebrations on select Disney cruises. You can step into the epic saga of Star Wars or thrill to an amazing Marvel Day at Sea. As you sail, delight in enchanting entertainment and activities throughout the ship. Celebrate the ways of The Force with a special deck party, photo opportunities with characters, and deck party with fireworks! 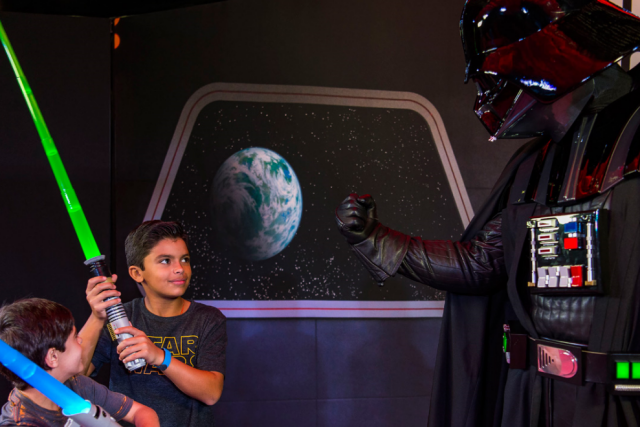 Kids can take part in an onboard version of Jedi Training Academy and special food and beverages will be served. Each week a different guest presenter will share their stories. Meet your favorite super heroes, including Black Panther, Iron Man, Spider-Man, Captain America, Thor, Loki, Doctor Strange, Black Widow, and Hawkeye, plus Star-Lord, Gamora and Groot from Guardians of the Galaxy. Kids will take part in Marvel-themed games and activites, then the whole family is invited to see Doctor Strange host an interactive show that allows children train in the “fundamentals of the Mystic Arts,” and finally an action-packed deck party with fireworks closes out the day. 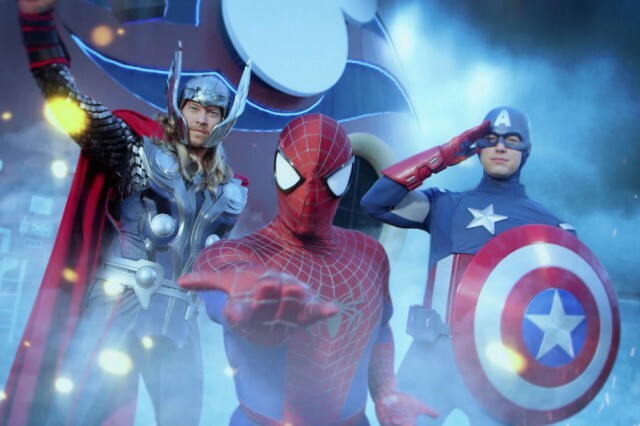 Marvel Day at Sea will only be offered on nine Disney Magic Caribbean and Bahamian cruises sailing from Miami. Holiday Disney Cruise Sailings - Celebrate the Seasons at Sea! The holidays are about to get even more magical - with everything from special parties to enchanting stage shows. Set sail for these two limited-time celebrations. One's a little scary. And the other is very merry. Mickey's Mouse-querade Party! A party in the atrium with games, trick or treating, dancing and the Disney characters in their costumes! Halloween isn't just for kids! Adult can join in on the fun with a late night costume contest and party. Spooky Movies will be shown on Funnel Vision and in staterooms. Scary stories will be told up on deck. Halloween decorations, including The Pumpkin Tree! The Pumpkin Tree is inspired by Ray Bradbury's story about Halloween traditions, "The Halloween Tree." On the ships, the tree will magically sprout Jack-O-Lanterns, flickering lights and a booming voice. Each one will have a mysterious caretaker, who will tell the guests haunted holiday stories. The Disney Cruise Line chefs work their magic in the kitchen on some special Halloween treats. "Mickey's Tree-Lighting Magic" in the atrium on the first night of each cruise. A child will assist the Disney characters as the three-deck-tall tree is lit. Santa's Winter Wonderland Ball - Wear your holiday finest and come to the ball with your Disney friends and the princesses. There will be singing, dancing, treats and a snowman will transform into Santa Claus! Magical snow will fall in the atrium. Holiday carolers - Dickens-inspired characters and carolers will sing holiday classics. Disney friends may even join in. Disney characters pose for photos and autographs in the atrium dressed in holiday outfits. "Deck the Deck Holiday Party" - a tropical celebration up on the pool deck. Limbo with the Disney characters, Yuletide Slide and a congo line. Special holiday crafts which could include making holiday cards, decorating stockings, decorating gingerbread houses and creating holiday animation cells. Holiday storytellers sharing tales of Christmas, Hanukkah and Kwanzaa. There's even a story written just for guests of Disney Cruise Line about the magical feeling of the holidays on a ship. Sunset Hanukkah services every day 12/8-12/16, Christmas services, including midnight Mass on Christmas Eve. On Christmas morning, Santa Claus and his elves will be at the Christmas tree in the atrium with surprises for the kids, along with cookies and milk. Holiday edition of "Till We Meet Again" on the last evening of the cruise. Adventures by Disney(ABD) presents an extraordinary way to experience Disney Cruise Line! Guests can now enhance their sailing with the extra magic of an Adventures by Disney vacation! Combining ABD's personal service and expertise in guided travel across the world with the enchantment of a Disney cruise, you will have a selection of unique onboard activities and premium shore experiences designed to immerse you and your family in the history and sights of your destination. Read about the options here. What better way to begin your Disney Cruise Line vacation than with a 3-night pre-cruise Adventures by Disney experience? Experience the culture of Barcelona and let your Adventures guides show you the sites! Read about the options here. Exclusive - Shipboard Credit up to $1000 and a FREE Gift! Make your Disney Cruise Line reservation with Dreams Unlimited Travel you’ll some incredible shipboard credits! Combinable - Disney VISA Shipboard Credit Offer! This offer CAN be combined with the Dreams Unlimited Travel shipboard credit offer for up to $600 in addition!! Learn more about Dreams' unique planning and concierge services, provided to our clients free of charge! Find out why our clients are raving about us, and how we can make your Disney World vacation, Disneyland vacation or Disney Cruise Line vacation truly magical!